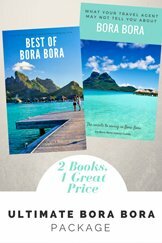 Here are the top reasons to visit Bora Bora, if seeing the photos hasn’t been enough to convince you (or your partner)! 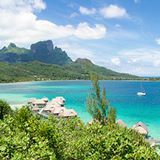 The whole of French Polynesia receives as many visitors in one year as Hawaii has in a week. 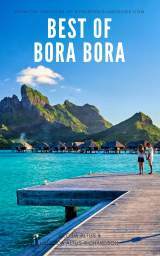 Even during peak season when the resorts full, Bora Bora never feels crowded. You'll wonder where everyone is! 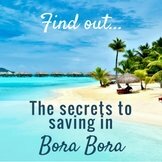 There’s never a worry to reserve a sun lounge in Bora Bora, or finding a spot on the beach. 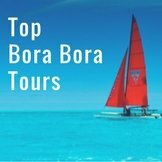 Bora Bora’s unique geography provides the perfect location for a once in a lifetime adventure. 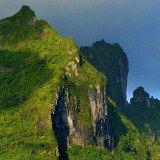 The island’s volcanic past has left a dramatic peak, known as Mt Otemanu, surrounded by a large turquoise lagoon and a string of coral motus (little islands) around its reef. You will never find a destination more exotic, or as unique, as this one. 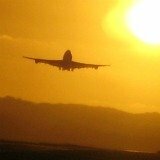 Distance and cost, keep this isolated island within reach of a few privileged travelers. 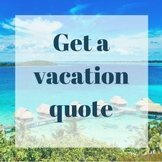 There are no cheap cruises that can shuttle people here. 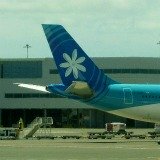 Only a few airlines fly into Tahiti and the distance to travel (often 3 plane rides or more) keeps it an exclusive destination to only those who truly make it a goal to reach these isolated shores. 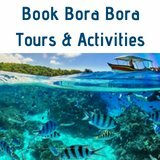 As there are no crowds of tourists, or sky rise hotels, Bora Bora remains an unspoiled paradise with clean water and pristine beaches. 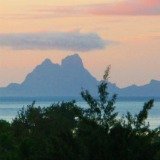 In fact, French Polynesia is one of the purest places on the planet. 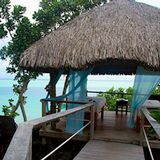 Much of the island and its surrounding motus are not developed, so you can always find a place on the island where you are secluded in paradise. 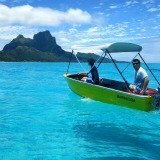 They say Bora Bora’s lagoon has more than 50 shades of blue. (Was it estimated by an artist or counted by a mathematician?) 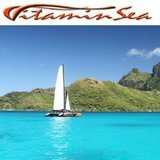 Circling the lagoon you will see more shades of blue and turquoise than you could imagine. And while the water is sparkling bright colors, it is also crystal clear at the same time! 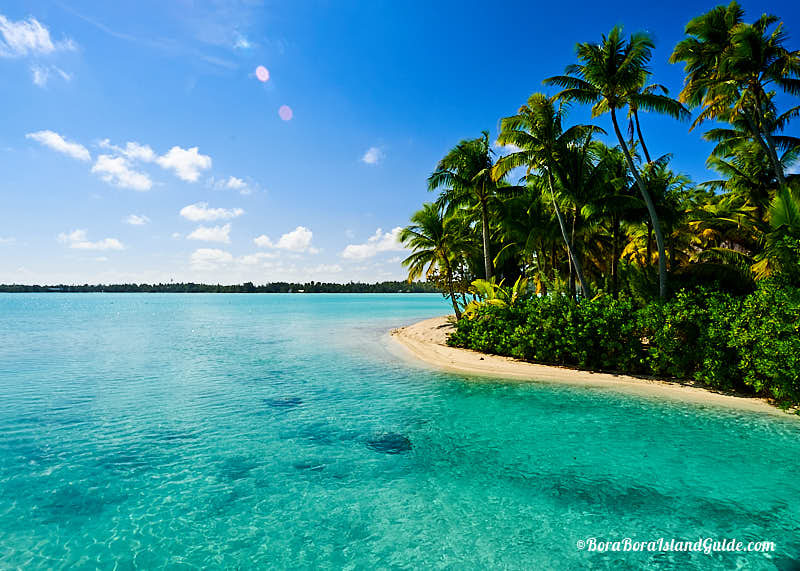 And it’s not merely beautiful, it’s amazing to swim and snorkel in Bora Bora! The lagoon is balmy year round, so as well as enjoying it’s views, you will enjoy being in it too. Where else in the world can you swim with graceful sharks and pat sting rays like puppy dogs? 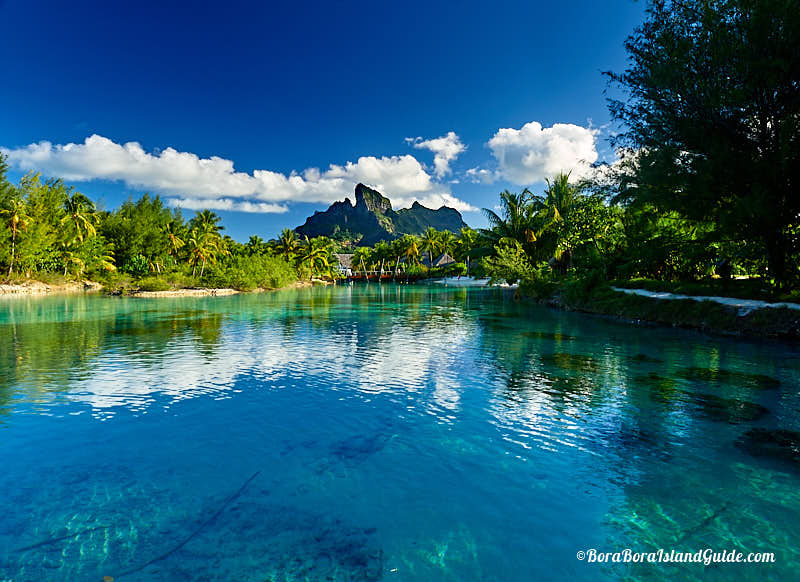 Bora Bora is the ultimate escape to get close to nature and enjoy experiences unlike any other. How about a picnic lunch on a little motu with your feet in the water while trying Polynesian delights? 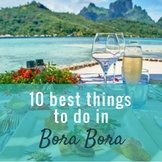 See all the top things to do in Bora Bora here. 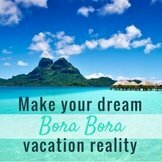 In between the untouched palm-fringed beaches you will find a select few glamorous Bora Bora resorts with their signature over water bungalows. Bathe in an oversized tub, with tropical fish swimming in the lagoon below. Have the most pampering spa treatment of your life, surrounded by island scents; or dine on French delicacies while watching the sun set over the lagoon. 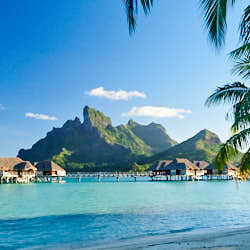 In Bora Bora you can have the best of both the natural world and man-made luxury to relax in.